Check out more photos, a video from our Gay Pride bus, and review highlights below! 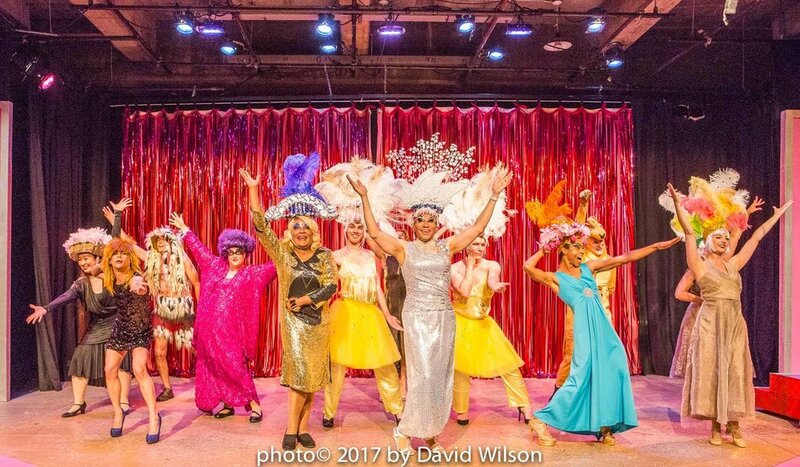 During the month of June, I had the pleasure of performing in a musical put on by Theatre Rhinoceros in San Francisco. I had a blast! Here are 3 lessons I learned from my experience. Enjoy! Point Blank Period. Dot com. Okay?!?! I must admit that drag is something I've always wanted to try, and what better way to give it a shot than performing in drag for 2 1/2 hours in a musical, 5 times a week! Priscilla, Queen of the Desert was a show bursting with many gifts; some challenging, some obscure, but they were all inevitably rewarding. Drag is amazing. The divine feminine is alive in all of us, and drag gave me an opportunity to bring it to light on the stage! Forget about who you are told to be. Forget about who you think you should be. Who do you WANT to be? That is what drag allowed me to ask myself. It's such an important question, not just for drag, but also in real life. I most surely will be taking this lesson and applying it to all of my work. The end goal is to be as authentic as possible. Some of you may know that I took a yearlong break from musical theater, devoting my time to original music and school (more on this at The Calling). I actually thought I was done with it! 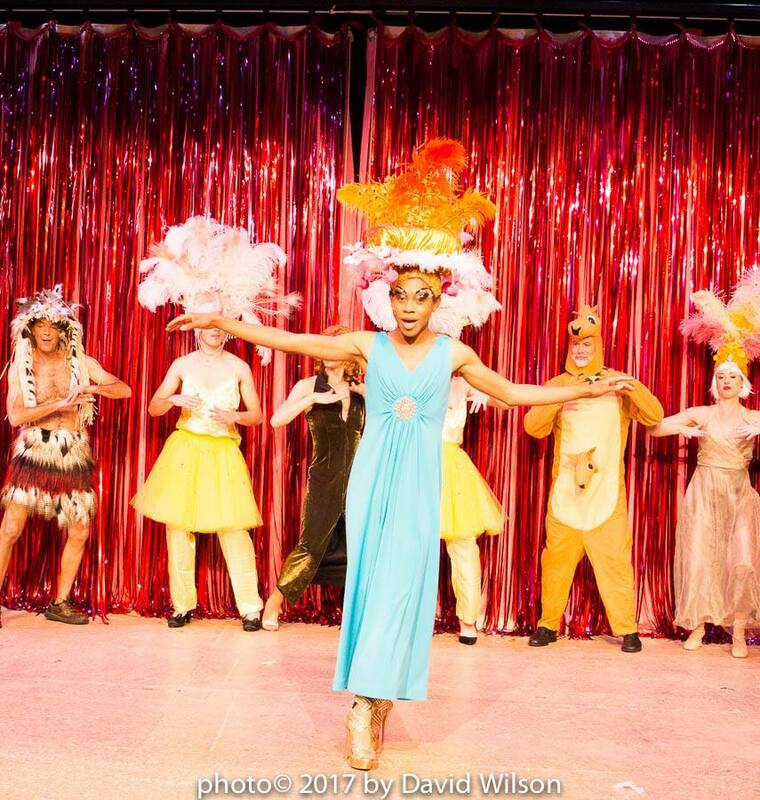 However, when I got the amazing opportunity to play the role of Felicia/Adam in Priscilla, I couldn't pass it up. This show has reawakened the performer inside of me. I forgot how much I loved to tell a moving story, dance to show tunes, and sing my heart out on stage. How could I have forgotten?! This reminds me of the old saying: "If you love something, let it go. If it comes back it's yours. If not, it was never meant to be." I let go of musical theatre, and it found me once again. This ties into a deeper question: why did I really let go of theatre? Was it because I wanted to focus on my own music or because I feared not being successful with musical theatre? Was it because I felt I didn't have enough time or because I believed I couldn't financially support myself by doing theatre? I now see that I made my decision from the Scarcity Mentality, which is based in fear and has ruled much of my life. As I move towards an Abundance Mentality, I can begin to make decisions that arise from "knowing" that the universe will support me and my most authentic desires. I am many things, but this show has reminded me that performing is what I love most and what I do best. Whether it is singing, dancing, or telling a story, performing is where my true gift lies. I love to sit at home, composing new works and recording new songs, but on the stage is where I feel most at home. I also believe it is the place where I can make the most difference, not in the practice room, and most certainly not alone in my home. As artists, we practice so we can perform. We hone our craft so that we may share it with others. Performance is where purpose, passion, and spontaneity come together in creative force. Performance truly is the "moment we've all been waiting for." Review highlights, photos, and a clip from the Pride Parade! Clip of the Priscilla bus in the Pride Parade, including a bit of my lipsync to "Sempre Libera". Our bus was the winner of the "Absolutely Fabulous Float" award! Want to stay in the know? Subscribe here!